ScienceDaily — A new study reveals an exciting potential benefit of the rapidly accumulating databases of health care information, pilule the ability to make unprecedented links between genomic data and clinical medicine. The research, more about published by Cell Press in the April issue of the American Journal of Human Genetics, supports the idea that large scale DNA databanks linked to electronic medical record (EMR) systems provide a valuable platform for discovering, assessing and validating associations between genes and diseases. Dr. Roden and colleagues in informatics and in genome science were interested in examining whether large biorepositories containing DNA samples linked to EMRs might be useful for discovering and incorporating new genotype-phenotype associations. “Implementing such a vision requires that major obstacles be overcome, including technological, computational, ethical, and financial issues and determining whether genomic information will meaningfully inform clinical decision making and health care outcomes,” says Dr. Roden. The researchers used BioVU, the Vanderbilt DNA databank, to detect known common genetic variants associated with five diseases: atrial fibrillation, Crohn’s disease, multiple sclerosis, rheumatoid arthritis and type 2 diabetes. It took only four months to generate a set of nearly 10,000 records from which the cases and controls were identified. Although the process of accessing and defining the samples was technically complex, for each of the five phenotypes, at least one previously reported genetic association was replicated. These results support the use DNA resources coupled to EMR systems as a valuable tool for clinical research. 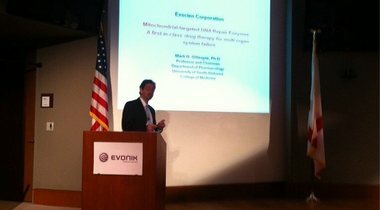 “Our data demonstrate that phenotypes representing clinical diagnoses can be extracted from EMR systems, and support the use of DNA resources coupled to EMR systems as tools for rapid generation of large datasets required for replication of associations found in research and for discovery in genome science,” concludes Dr. Roden. The researchers include Marylyn D. Ritchie, Joshua C. Denny, Dana C. Crawford, Andrea H. Ramirez, Justin B. Weiner, Jill M. Pulley, Melissa A. Basford, Kristin Brown-Gentry, Jeffrey R. Balser, Daniel R. Masys, Jonathan L. Haines, Dan M. Roden, of Vanderbilt University School of Medicine, Nashville, TN.